Album Cover for the Citizens new release. The Citizens hit the scene last year with their EP “Already Not Yet”. The short, but highly encouraging album consists of three remade hymns (“Amazing Grace”, “In Tenderness”, and “Nothing but the Blood”) and one very powerful closer in their original song “Oh God”. All three hymns are very upbeat with a purpose, and remade to fit the music scene today with the style that The Citizens are trying to achieve- energetic worship in the style of indie (I know, it’s a bit wordy). Regardless of how you would try to categorize their style of worship, one thing is for sure: it is genuine and it is good. Their new self-titled album that released this week follows suit of the previous EP as it contains three hymns with the other eight songs being original creations. The band chose to cover two new hymns in “I Surrender All” and “Praise to the Lord”, as well as include “In Tenderness”. Each hymn brings a new dynamic to the album and provides the listener with a different worship experience. “I Surrender All” slows down the pace and enables to listener to reflect and meditate throughout the track. The Citizens’ calling card is their ability to make worship a natural thing, with their powerful lyrics and style of music that is current with today’s top artists, this band is reaching out to the masses. 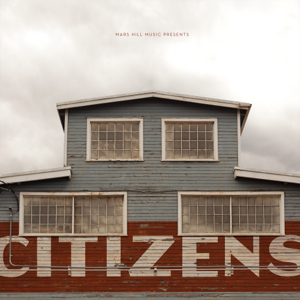 If you are searching for a different type of worship, one that ups the ante in this genre, be sure and check out The Citizens. There is nothing to regret.